This wasn’t a big surprise. 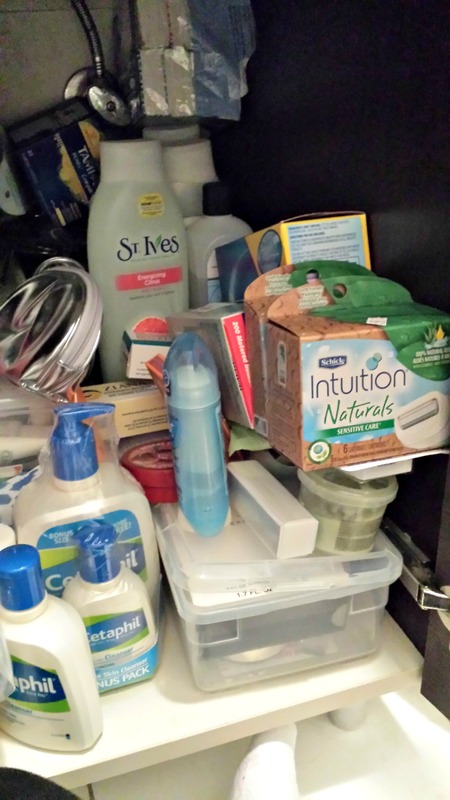 Anyone who has snooped in my bathroom knows I’m a health and beauty hoarder. If you need to wash your face, stop by. I just counted six Cetaphils under the sink. And every time I get a coupon that requires a minimum purchase, I stock up on salon hair care items CVS apparently isn’t supposed to sell and pricey Intuition razors. But I’d prefer you not stop by to shave your legs, ok? I’m not that generous. I told @cmajaski of my goal for 2014. But perhaps my goal should be just to use up the stuff I’ve already got. The usual disclaimer: the is not a sponsored post. Chiefly because no one asked. 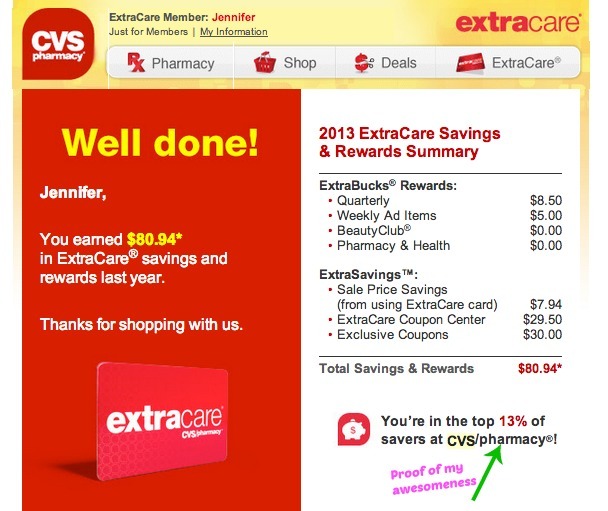 This entry was posted in Style and tagged Cetaphil, coupons, CVS, discount, hoarding, Intuition razors, shopping on January 23, 2014 by onechicklette. I couldn’t give them up! I should buy stock in Cetaphil, that’s liquid gold with the kid’s skin issues. I am pretty sure his dermatologist is a major shareholder already. I hear you. I’m allergic to lots of things so I stick to my favorites.